When it comes to real estate in Dubai, there were all these confusions or uncertainties regarding how the will come into the equation when non-Muslims or expats are involved. 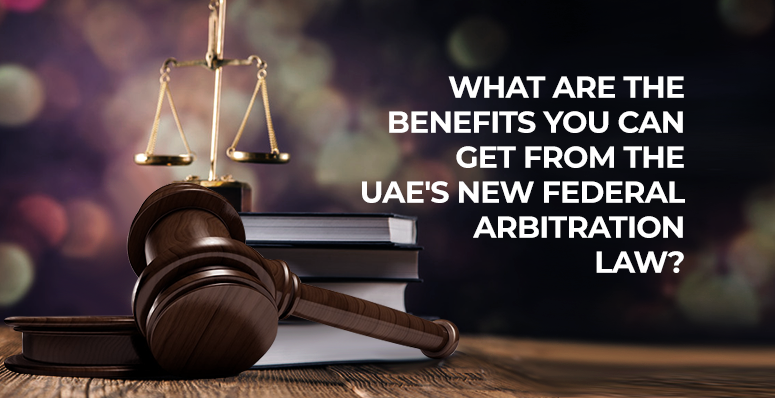 That has all changed with a series of rules that were laid out by the Dubai International Financial Center or DIFC. The reason why many hold skepticism in the Dubai real estate law is that it did not allow the Right of Survivorship concept. This means that after the death of a person, his or her land fall under the ruling of Sharia law. We will explain more about in the following sections. Why are many Non-Muslims and Expats apprehensive about owning assets in Dubai? Since Dubai did not support Right of Survivorship, this alone made non-Muslims and expats uncomfortable in owning assets in Dubai. There is no guarantee that their offspring would get the assets. So naturally, they tried to take their assets and move them offshore. However, this does not contribute to Dubai’s economy as it takes money away from it. Concerns were also raised about guardianship of children after the demise of their parents. To make matters even worse, upon death all bank accounts of the deceased will be frozen. Then a liability check will be done in order to see if the person had any debts attached to their name. After the liabilities have been paid off, the assets will fall under Sharia law. In sharia law, the assets will be will be carefully examined by a ruling body and it will be divided and distributed to the land owner’s family. However, the case will be different if the deceased had a will in place that carefully stated out where their money should go. How the DIFC made everything streamlined! On November 16th, 2014, the Dubai International Financial center made a huge announcement that brought back the interest of Non-Muslims and expats back to Dubai. They introduced DIFC and Wills Probate Registry that helped non-Muslims and expats to register a will under it. So now the concerns over the assets not being transferred to the offspring were eliminated. In essence, with the formation of DIFC, non-Muslims, expats, or residents in Dubai who own assets can decide how these assets would be distributed after their death. The Dubai government has even gone the extra mile and have partnered the DIFC WPR with the Dubai Land Department and the DIFC Dispute Resolution Authority. This decision paves the way for faster asset transfer without causing any holdups. Before we go any further, you must know that there are different types of wills valid in the UAE. Expats and non-Muslims living in the Dubai should factor in their characteristics while choosing one. The following brief explanations will help you have a rough idea on the same. Guardianship Will: The Guardianship Will pertain to appointing a guardian of your choice for the welfare of your children. The will provides the parents to appoint interim or permanent guardians who may belong to their family or are close friends. Full Will: As the name suggests, a Full Will covers all grounds such as assets, ownership, and guardianship. The person can choose how their assets should be distributed after their time, and they can include their entire assets in the will without any limitations. Business Owners Will: It helps the testator to create a will that encompasses 5 separate shareholdings in any free zone or UAE onshore company situated in the Emirate of Dubai or the Emirate of Ras Al Khaimah. The person must be aware of the fact that the will is only valid if the company in which the shares are held is incorporated into the Emirate of Dubai or the Emirate of Ras Al Khaimah under the accordance of UAE Federal Law. Financial Assets Will: Provides support for brokerage and bank accounts. Ten separate shares or bank accounts registered in the person’s name or jointly owned can be registered in the will. The bank accounts or brokerage shares must be in the Emirate of Dubai or the Emirate of Ras Al Khaimah and should have approval from a financial institution regulated as a bank by the Central Bank of the United Arab Emirates or a brokerage firm by the Emirates Securities and Commodities Authority respectively. What results do we have to show for it? The result of this move by the Dubai government is certainly in the positive as more and more people are now confident in owning property and other assets in Dubai. In the first half of the year 2018 alone, Dubai amassed more than $4.84 billion in foreign investment. This year, 2019, the trend is only going to continue as investors flock towards Dubai for investments. Therefore, it’s safe to say that the changes made by the government have indeed been well received. If you are a non-Muslim or expat having trouble figuring out how to register your will with the DIFC or need help in general about the system, then you can always find a helping hand with Al-Nassar Advocates. Our expert lawyers in Dubai will explain everything you want to know about the system and can represent you in court if you need to raise your complaint against a discrepancy. Call us at +97142555110 or send an email to info@alnassaradvocates.com to know more! 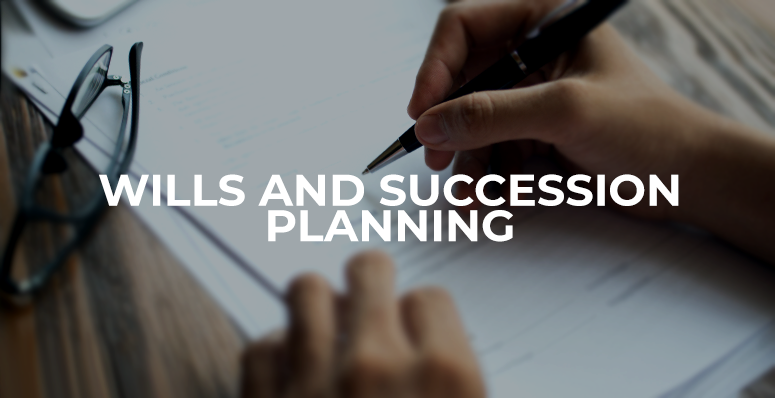 While we talk about the different verticals of law, one of the major, yet overlooked part of it is Will and Succession Planning. To get you up to speed, a Will can be defined as a document carries the name of the person who is going to inherit your assets. The Will can also specify other things like a wish or a task that the guardian wants the inheritor to carry out. How can it be executed later? It is later executed using probate, and this ensures the authenticity of the will as well as ensure that the right person gets the right proportion of inheritance. The probate is processed through the court, and upon successful validation, the inheritance is distributed as per the requirements stated in the will. What is the inheritance law of the U.A.E. ? It is a matter of great concern when a large portion of UAE citizens are unaware of the UAE inheritance system, especially expatriates. In UAE, Inheritance is guided by Sharia Laws, and they apply to every Muslim national. When the time comes, the Will is The probate is also offered the verdict of guardianship if there are minor children involved. What about expatriates? How does UAE inheritance laws apply to them? The nationals of the UAE can get their inheritance based on the rulings of the Sharia law, but many expatriates do not know how the system works with them in the equation. This is also one of the major reasons why expatriates shy away from buying land or other investments in UAE. It is best to meet with legal consultants in Dubai before you give up on it completely. However, these concerns are there because they do not know how the rules in UAE are structured. Article 1(2) of Federal Law No. 28 of 2005 allows the expatriates, even non-Muslim personal, the freedom to make a will that is based on their home country’s personal law. However, care must be taken to ensure that the will is translated into Arabic and then duly notarized with the Notary public in UAE. Since such complexities are involved, we can’t stress enough on the matter of making a will for your assets. Having a will set in place will help the inheritors from a great deal of malevolence, not to mention that the legal proceedings will cause the bank accounts to freeze and pauses any ongoing or upcoming investments till it’s over. 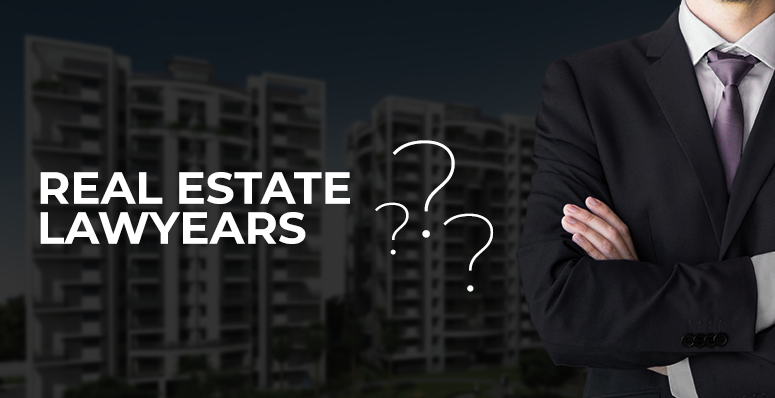 Real estate division is another matter of complexity, and its best get professional help from real estate lawyers in Dubai when it comes to sorting out the inheritance system applied on real estate. We are a team of professionals, comprising of the best advocates in Dubai, who have helped numerous clients with their wills and inheritance models. Get in touch with us, and we will help you sort things out the way you want it. Intellectual property can be summed up as the property that is created with the human mind. Every invention, piece of literary or artistic work, brand names and even symbols can be called as intellectual property. Since it is a product of sheer imagination and commitment, it should be regarded as every other asset that needs protection. This is where intellectual property laws come in. They protect intellectual property from theft and corruption using trademarks, patents, copyrights, and trade secrets. The IP Protection laws varies from place to place. Intellectual property protection or IP protection in UAE is governed by the Federal laws of UAE. In essence, they all serve the same purpose – to protect the intellectual properties of their inventors. What is the need of IP Protection in UAE? A brand speaks about a unique entity. Similarly, every single invention ever made is a mark in the world made by its inventor. So when others make a blatant copy of an invention, the investment of the maker goes to waste. Think about a scenario where anybody could start a business with the name of any A-list brands. This spells disaster as it completely destroys uniqueness and makes people lose trust in brands. Alternatively, imagine where a painting or an image that you have created being copied and circulated without your permission. This is the importance of getting intellectual property protection. If you have unique ideas that you need to be protected from prying eyes, you should make yourself acquainted with the following terms. Patent: patents are given out for inventions and prohibit others from using the same technology without the owner’s consent. In UAE, the inventor can file for a patent at the GCC patent office situated in Dubai. It was established in 1998 and since been the go-to place for getting patent on valuable inventions. Of course, to patent an invention, the creation must be unique and must be of some use to the public. Trademarks: trademarks are unique words, symbols or signs that separate your brand from others. It is crucial that you must trademark your business properties so that no one else can use your banner to sell their products. Before you trademark, your product, make sure that the same does not already exist or else it may lead to unnecessary complications. Trade secrets: trade secrets are formulas, processes or even devices that are unknown to the competition. It gives the company a competitive advantage. The best example for this is the soda formula used by Coca-Cola. The companies must also make sure to take necessary precautions so that the information is not leaked in any way. UAE already has a set of laws that oversee disclosure of business secrets and trade secrets. Copyrights: copyrights mainly focus on protecting artistic works like songs, music, graphical works, etc. software rights also comes under copyright laws. The trademarks and copyright filing in UAE is streamlined and has to be done through the UAE Ministry of Economy. Since intellectual properties are very valuable and can even help in the progress of the whole country, UAE has passed several rules on the same. The following are the major IP protection Laws that are laid down by the UAE legislature. Federal Law No. 7 of 2002 Concerning Copyrights and Neighbouring Rights(2002): this law passes in 2002 deals with copyright and related rights, IP Regulatory Body, Traditional Cultural Expressions, Enforcement of IP and Related Laws. Federal Law No. 31 of 2006 Pertaining to the Industrial Regulation and Protection of Patents, Industrial Drawings, and Designs(2002): This is yet another law passed in 2002 with deals in Enforcement of IP and Related Laws, Competition, Industrial Property, Industrial Designs, Patents (Inventions) and others. Federal Law No. 17 of 2009 on the Protection of New Plant Varieties(2010): the law passed in 2010 is particularly aimed at protecting plant varieties. The complete list includes IP Regulatory Body, Enforcement of IP and Related Laws, Plant Variety Protection, Trademarks and Trade names. These are only the list of main laws that deal with IP protection in UAE; there are also several other complimentary laws that come as the subgroups of the main laws. 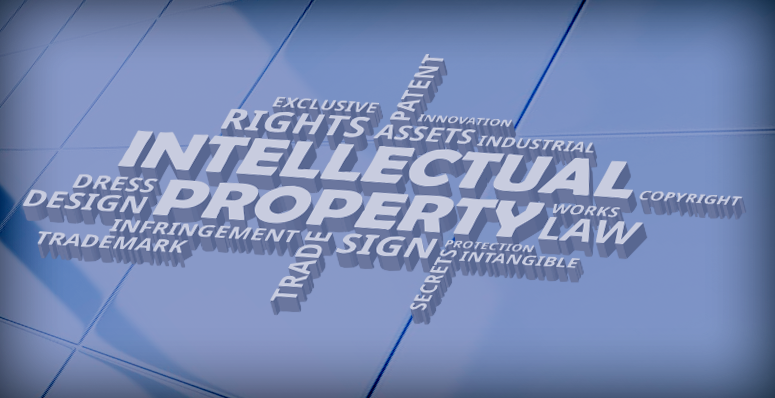 Therefore, UAE has a very robust system for protecting IP properties. If you or your entity needs IP protection, a good Law Firm specialised in the practise of Intellectual Property Laws in UAE, could help you with necessary registration and legal actions in the event of infringement or apprehended infringement. Lending money is crucial in modern business setups. Big business projects or personal projects are backed by huge debts with a promise of complete repayment. Financial setups throughout the world have a working model for the solicitation, disbursement and the recovery of debt. Debt is available in several forms and the most common form is that of the secured debt. The financial institutions provide a certain amount that is backed by some collateral that can help the recovery of the amount in case the debt is not settled in time. A debt is secured when backed by any asset equal or greater than the amount given. In case of secured debt, a credit check is carried on just to confirm whether the loanee can be considered capable to handle the debt and repay it, whenever required. The collateral offered to secure a debt depends upon the type of the loan. Financial institutions usually work with properties including house, vehicles, certificate of deposit, savings or jewellery. Collaterals vary in case of commercial loans. Commercial loans offer natural reserves, securities, assets or real estate to the financial institution for securing the debt. These secured debts are usually available at fewer interest rates. Since the loan is secured with a backup collateral, institutions consider minimal risk and provide loans at low rates. This security also makes large loan amounts a possibility. The repayment of such debts come with a much longer period, in most cases for a period of years, because the value of collateral matures over time as well. Credit unions, banks, lenders, act as sources for this kind of debt. The terms of each source might be different but the vetting period usually depends upon how big the debt is. The analysis for debt securing is thorough. The financial institutions make sure whether the transaction is worth it in the first place. How to recover the debt? In modern scenario, the most crucial problem of businesses is the outstanding debt. Amount tends to get stuck, in case the loanee acts irresponsibly or fails to pay back at the time. The recovery process becomes difficult and gobbles a lot of energy, resources and time. An escalation process is initiated in order to clear the outstanding payment. In case, the payment is overdue, the first step is a courtesy reminder. The customer can be reminded with a phone call, a letter or an email. In many cases, the first contact is heeded by the customer and a prompt payment is made just after the reminder. If the initial contact stays unheeded, the institution proceeds further with another call or email to remind about the overdue payment and request for it. It is mandatory to let the customer know about the steps that might follow due to the sheer negligence for the debt settlement. A final notice clearly mentions the repercussions of missed payment deadlines. This contact is considered to be the first step to the legal procedure for recovering the debt. The final notice is the final stage of soft communication and a start to the formal recovery process. This is considered the final and last resort of communication on part of the financial institution. This letter warns about the proceedings that may follow. In case of secured loans, the loanee gets a fair warning about the collateral. This letter is issued with a stated time frame to make sure that the rest if proceedings are notified in advance. The financial institution hereby initiates required action to recover the loan. Secured debts are processed for the collateral auction in a bid to settle the loan amount. On-time recovery of debts adds to the fiscal health of a company. Delinquent debtors can add to expenses and are exhaustive. Recoveries are initiated according to the nature of the debt. Consumer debt recovery is initiated against personal debts such as credit card debt, cell phone bills, medical debts, overdraft charges and much more. Commercial debt recovery is initiated against a debt taken for a product or service. The bad debt recovery is initiated against a written off uncollectible. 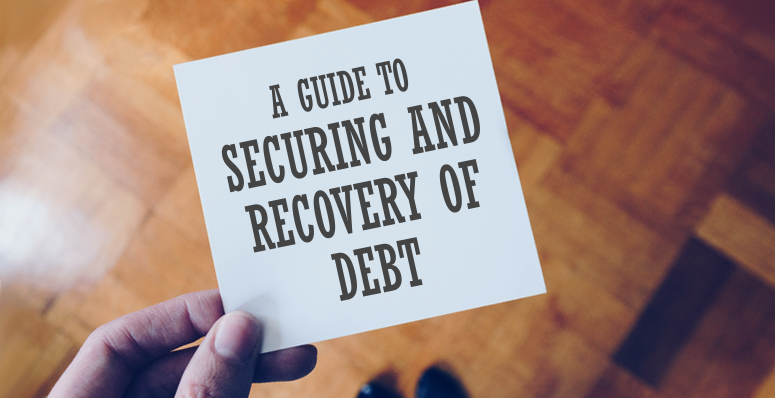 The recovery is the toughest and most time-consuming part of the debt management and it requires appropriate strategy based on the Creditor’s commercial, strategic, reputational and legal needs. Engaging a good Law firm which specialises in all aspects of debt recovery, from early issue of Legal Notice and payment negotiations through to debt recovery litigation before the appropriate court is the best solution to the problem. Such a Law firm makes sure that your time is saved and the efforts on your part are initiated/taken over by them with streamlined procedures and focus on early resolution/recovery. In such good Law firms the work is performed by qualified, experienced lawyers with extensive experience in both debt recovery and litigation so that you can simply focus on accelerated revenue instead of consuming energy chasing debts.